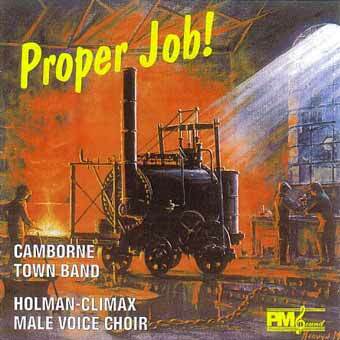 Holman-Climax Male Voice Choir » Proper Job! This recording was produced to celebrate both the 200th Anniversary of Richard Trevithick's invention of the first self-propelled motorised vehicle, and the rich musical heritage of Cornwall. It features Camborne Town Band and the Holman-Climax Male Voice Choir both of whom are considered to be some of this country's finest.